New Orleans - Admittedly, one of my least favorite songs, was spectacular. This is most definitely a track that works a lot better in a live setting than on the album. Moonlight - ALWAYS the BEST SONG on every show I've seen on this tour. Tonight was no different. Gold Dust Woman - Oh my God!!! She did the high pitched scream like "The Dance" version!!!!!!!!!!!! I never thought in a million years I'd ever hear that again!!!!!!!! Rhiannon - Towards the end, her mic stand fell to the floor, leaving the mic and cord ensconced in her hand like a lounge singer. When it happened, her eyes got really big like, "I can't believe that just happened!" A very cute moment! The BIG news of the night is that she said she needed to "reel in these long winded stories and try to make them as quick and concise and possible" because (and these are her words) "At some point later in the tour, we're going to film this show and it's got to be more music and less talking"
Now it remains to be seen whether or not they're going to film it for a DVD/Blu Ray release, or for a television special, or whatever...but I for one would be ecstatic to see this "set list" for this tour make it onto an "officially released" Stevie DVD or concert special. Having this arrangement of "Moonlight" ALONE, as well as the dramatic performance, would be worth the price ALONE!!! She joked a lot about how long winded her stories are. (and they WERE, but I didn't care!) She looked gorgeous!!! Vocally, she played it safe for the first 2/3rds of the show but then let loose from "Moonlight" onward. So supreme! So magical! And unlike a lot of "blah" Stevie shows that I attended from 2003 - 2013, I DEFINITELY "will not forget this night...dare my wild heart..."
I was wondering if she would record a show of her own from this tour when I read a few days ago that The Pretenders are gonna film one of these performances in the near future. Chrissie Hynde must have a good influence on her, I'm happy. I hope that being a recorded performance she will take a few steps out of her comfort zone since it will probably be the last time. Last edited by SisterNightroad : 03-18-2017 at 04:04 PM. I agree, I think Stevie has been inspired by Chrissie, and maybe vice versa, too. It seemed an odd combination to me at first, but it clearly worked out better than expected! i hope it is true that she is filming this tour. because i wasn't able to see a show on the tour. 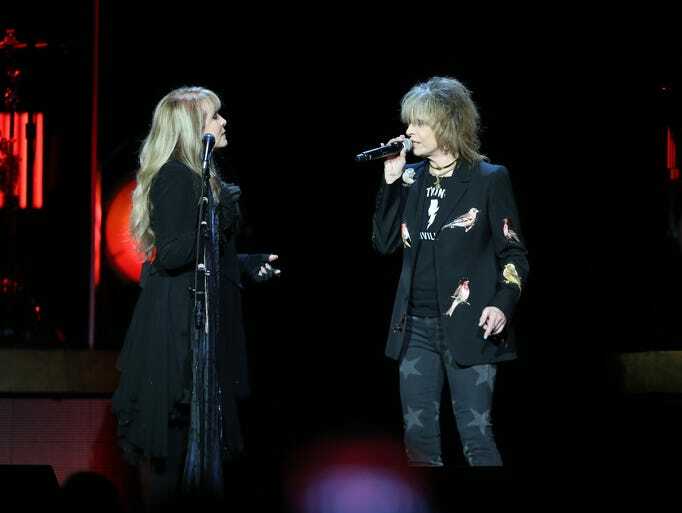 It was a fitting close to International Women’s Day as two of rock’s iconic female figures, Stevie Nicks and the Chrissie Hynde, took the stage of FedExForum on Wednesday. 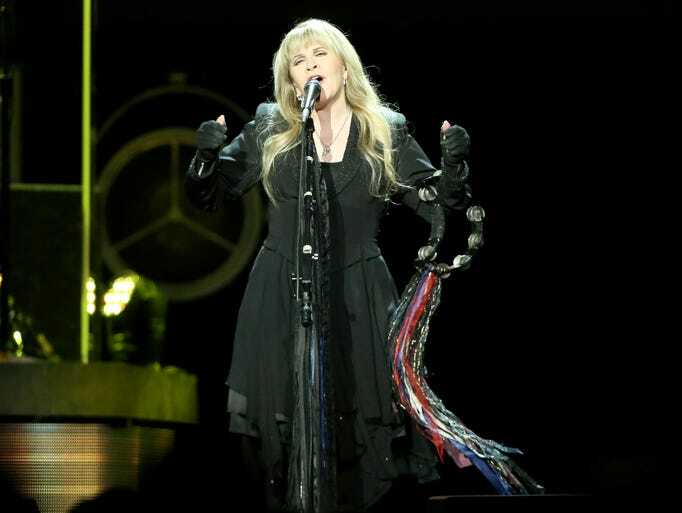 Appearing with her solo band, Fleetwood Mac star Nicks was the ostensible headliner, but it was Hynde and her group The Pretenders who stole the show, with both women presenting district and distinctly different visions of musical and personal empowerment. Thirty-five years after the implosion of the original Pretenders lineup — following the death of guitarist James Honeyman Scott and the firing and subsequent death of bassist Pete Farndon — Hynde and Chambers have somehow managed to keep the group a compelling force, with the new members, particularly flash guitarist Walbourne, providing a fresh spark. One of rock’s most stylish singers, Hynde also showed a depth of emotional range on the spare ballad “I’ll Stand by You,” while one of her rare solo songs, “Down the Wrong Way,” seemed to take on new life in the Pretenders context. Ohio native Hynde took the opportunity to rave about Memphis, having visited several local haunts — Graceland, Shangri-La Records and Imagine Vegan Café — on a day off before the concert. She noted that she skipped a return to the local jail, where she stayed during the Pretenders' first tour on disorderly conduct charges after kicking out the windows of a police car. “They didn’t want me back,” she quipped. After a brief break, Nicks and her big band — which included longtime guitarist/musical director Waddy Wachtel on guitar — emerged, sounding strong, if somewhat measured during their 18-song performance. Nicks presented the set as part storyteller’s session, part deep dive into her catalog. 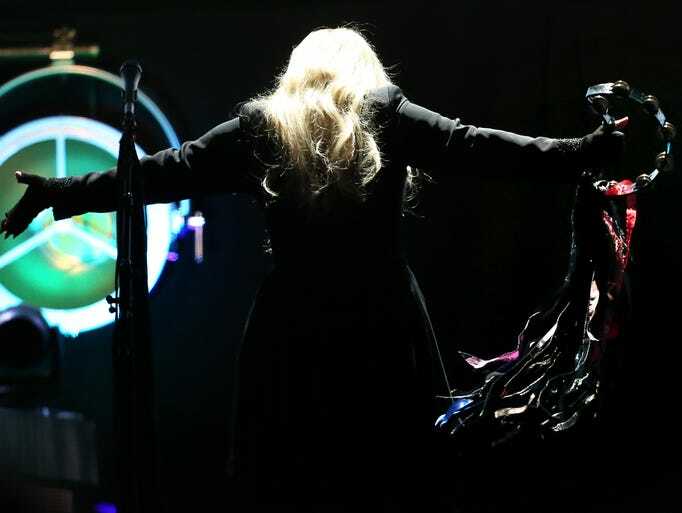 Vocally, she was in fine form, but the somewhat awkward pacing — songs broken up by Nicks’ long narrative interludes — meant that musical momentum was hard to sustain. Still, Nicks’ tremendous personal charm — part girl next door, part witchy woman, part mother figure — was hard to resist, and the crowd of devotees were held rapt by her, expressing their devotion vocally and visually, with many dressing in homage to her (sartorially speaking, the audience at a Nicks concert could double for a renaissance fair crowd). 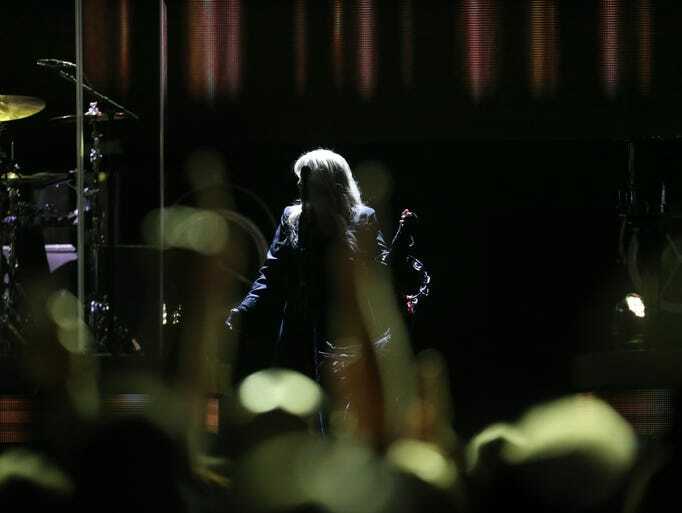 The liveliest moment of Nicks' set came during an early version of the Tom Petty-penned “Stop Dragging My Heart Around” as Hynde emerged from the wings and the women, along with Wachtel, presented the song as a three-way romantic drama. 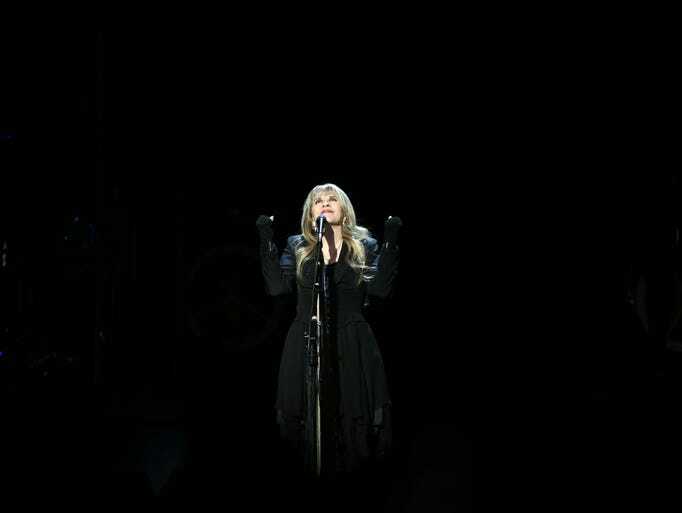 Ultimately, amid all the stories and banter, Nicks managed to cover all the expected ground, delivering strong versions of her solo hits (“Stand Back,” “Edge of Seventeen”) and closing with a flourish of Fleetwood Mac favorites (“Rhiannon,” “Gold Dust Woman,” “Landslide”) that were impossible to resist. 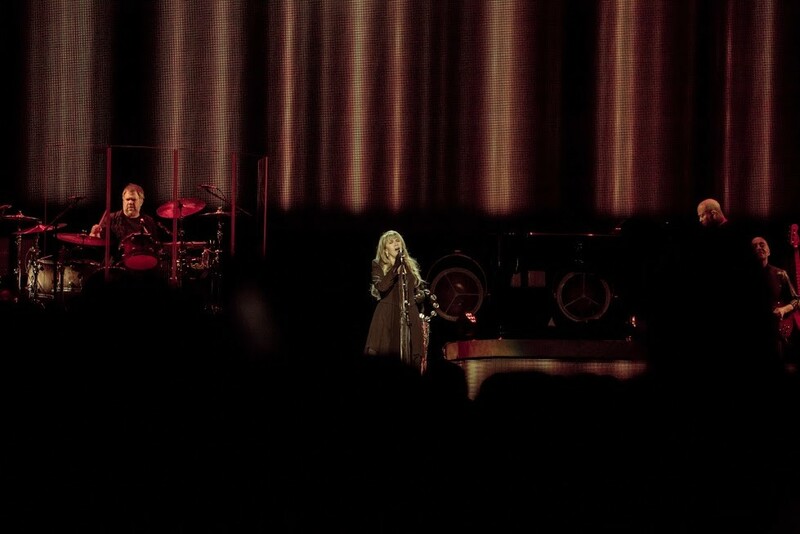 "We've followed her for seven cities now," a man 20-years-my-senior told me midway through Stevie Nicks 18-song set. "Amazing, after all these years, she's still got it." She never lost it. Backed by a multi-piece band that included a pianist, hammond organist, two backup vocalists, a drummer, bassist, and longtime musical director and guitarist Waddy Wachtel, Nicks' brought a storied discography to life — a "gothic trunk of lost songs." Tracks she wrote over the span of 40 plus years; deep cuts from albums that seldom or never got the live treatment. The audience didn't mind, an eclectic bunch: mothers and daughters, married couples and young couples, a man in a top hat hopelessly waving a bouquet of white roses in Nicks' direction, a pack of gypsies who led me to my seat. The energy was palpable, though, when Nicks and co. rolled through Fleetwood favorites like Gypsy, a moment when anyone still sitting found their feet; Gold Dust Woman, made bigger than ever by her band; Rhiannon, the alcohol had taken hold by this one, there was lots of aisle-dancing; and Landslide, the stripped down closer, during which there was lots of hugging and audible disappointment that the show would soon end. 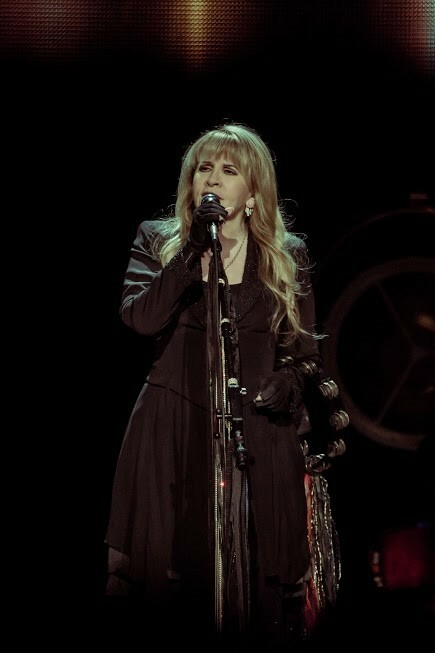 Nicks, donning a black dress with flowing sleeves, a sequined shawl, black fingerless gloves, and, for "Bella Donna," the original silk chiffon scarf ($2,000 when purchased, "ah, ****, that's a lot of money, Stevie," said a concerned person behind me) draped over her in the 1981 promos, paused briefly after her first song and scanned the Fedex Forum. "You have to let us, for a minute, sink into your Memphis-ness," she said. "You know this is a very special city. This is on that list of cities — Los Angeles, San Francisco, Nashville, Memphis, New York — where you come into the city knowing those are the important shows. I'm extremely happy to be here in your musical city that has so much history." "I was a little girl, and I wrote this little song, and this little song took all of us to the top. Did I ever dream I'd be in Memphis playing for you?" — Stevie Nicks on "Landslide"
Each song came with a story, a bit of nostalgia about who she was and where she was when they were written. Stand Back was born after Nicks' heard Prince's Little Red Corvette on the radio and wrote lyrics around his melody. After getting his approval, Prince visited her in the studio, where he played on the track, and the two played a game of basketball. A montage of photos of Prince would later appear on screen behind her, a source of motivation for Nicks. "The sad thing is now he's gone," Nicks said. "But when I sing Stand Back, he's here. When I'm nervous, I say, 'Prince, walk with me.' And he does." Nicks' storytelling broke up what could have been a traditional arena rock production. "I could do this until I'm 90 years old," Nicks said. "Because I have fans who are kind enough to listen." Her diving into the details brought a closeness to the audience, removing a wall. We could have been in her living room. 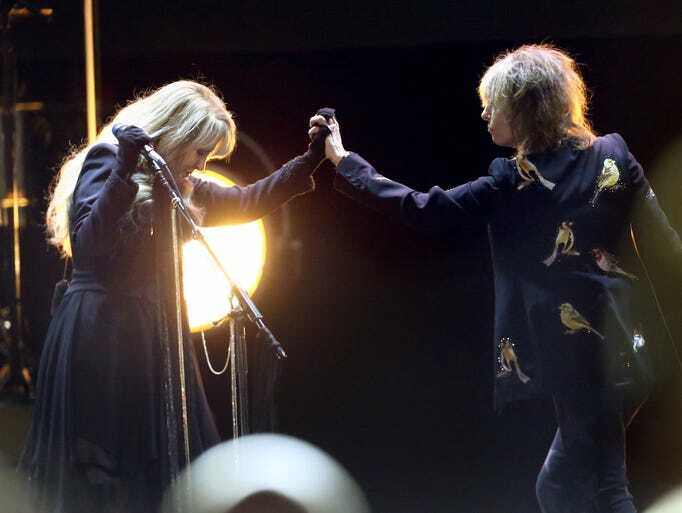 When she went into Stop Draggin' My Heart Around, which she wrote with Tom Petty as their friendship blossomed, show opener Chrissie Hynde of The Pretenders appeared from the darkness to sing. The Pretenders' bare-bones band — drums, bass, guitar, pedal steel — showcased Hynde's magnetism. On "I'll Stand By You," Hynde's vocals were as powerful as they've ever been. Wearing a Shangri-La Records T-shirt, Hynde said the band had a better experience in Memphis this go around, visiting Graceland and Imagine Vegan instead of the jail where she was once held overnight for disorderly conduct. "Memphis is progressing in the right way," Hynde said. "But I didn't go to the jail where I was held overnight for kicking out the windows of a police car. They didn't want me back." Closing the show, Nicks revisited 1973, when she lived for three months in Aspen, Colorado on $250. 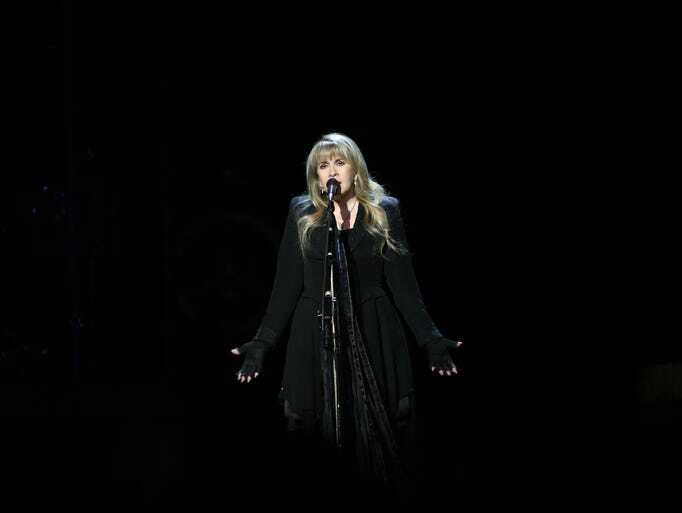 One evening while home alone in a condominium where she was renting a room, Nicks' wrote Landslide on an acoustic guitar, finding the lyrics as they came to her. 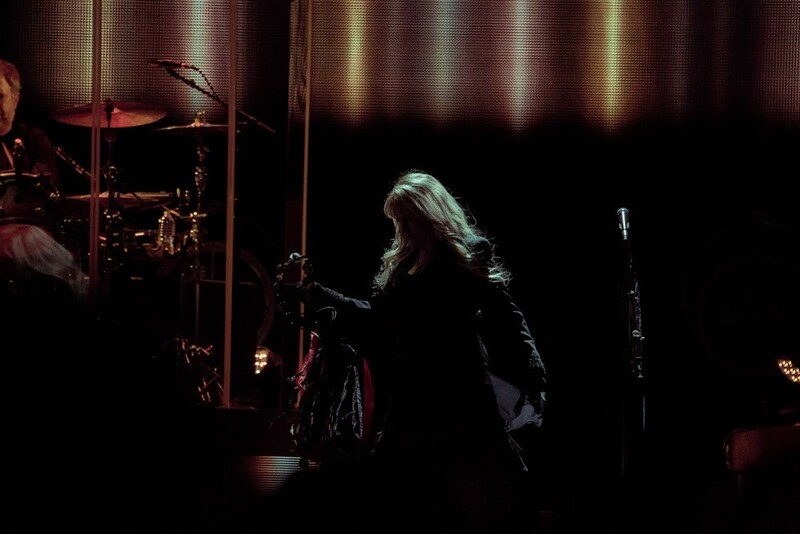 "I was a little girl, and I wrote this little song, and this little song took all of us to the top," Nicks said. "Did I ever dream I'd be in Memphis playing for you?" Cool jacket.....and jeans, Christie Hynde is wearing. Maybe it was her recording night, for her set. Last night was phenomenal. Stevie was amazing and magical as always. She was on absolute fire and I think even better than when I saw her in Nashville. It was an unforgettable experience for me since it was my first time on the floor. The energy was unlike anything I have ever experienced. I moved a bit closer for Gold Dust Woman until the end, and it was electrifying. You could sense the love for Stevie all around. I will never forget being so close and singing Landslide with the rest of the arena; a truly breathtaking experience. 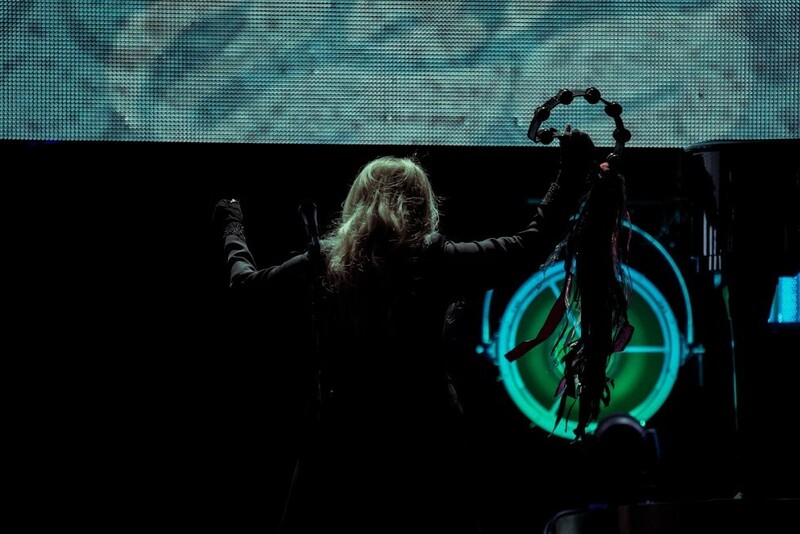 My favorite moment of the night was when her mic stand fell over during Rhiannon. It was so funny, and Stevie, after her adorable initial moment of shock, kept going like a pro. Another funny moment was when she described her tambourine playing as her "cardio". This tour must be recorded for a video/audio release. Hope this happens! Funny, Heart has released so many blu-rays of their concerts in comparison, yet do not seem as popular as Stevie (meaning they play much smaller venues). She is only playing arenas because The Pretenders are helping to fill them, just as Heart did last summer in the sheds with Joan Jett and Cheap Trick helping to sell them out. Last edited by olive : 03-09-2017 at 07:12 PM. Thank you so much for uploading and reporting on the concert. Memphis looks like one of the best shows thus far. Now I'm getting very excited for my show in C-ville. Here's the video I took of when Stevie's mic stand fell over for anyone who still wants to see it! Last edited by olive : 03-10-2017 at 05:44 AM.